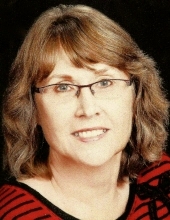 Virginia L. Sieleman, 67 of Butler, passed away October 8, 2018 at her home in Butler surrounded by family. Memorial services will be 10:30 AM Saturday, October 13, 2018 at the Mullinax Funeral Home (660-679-0009) in Butler with Bro. Terry Davis officiating. Visitation will be Friday evening from 6-8 PM at Mullinax Funeral Home. Private family inurnment will at a later time in the Appleton City Cemetery. In lieu of flowers, the family suggests contributions to Heartland Hospice. Messages of condolence for the family may be left at www.mullinaxfuneralhome.com. Virginia was born August 26, 1951 in Kansas City, Missouri, daughter of William Rex and Patricia Vaye (Heard) Evans. She was united in marriage to Bernie Sieleman and at her passing, they had been married 48 years. Virginia is perhaps best known for her career of 40 years at Bates County Memorial Hospital in Butler. She and Bernie belong to First Baptist Church in Butler, where Virginia taught preschool in Sunday School for 24 years. Among her favorite activities were cross-stitching and spending time with her family. Virginia was preceded in death by her father, William Rex Evans. She is survived by her husband, Bernie Sieleman; her mother Patricia Heard; brothers Bobby Evans, Billy Evans, and Bud Evans; daughters Jennifer Linton and Christa Lane; sons-in-law Chris Linton and Brad Lane; and grandchildren Khristian Horne, Michael Horne; Brandon Lane, Brice Lane and Brock Lane. To send flowers or a remembrance gift to the family of Virginia L. Sieleman, please visit our Tribute Store. "Email Address" would like to share the life celebration of Virginia L. Sieleman. Click on the "link" to go to share a favorite memory or leave a condolence message for the family.